The beaches of Chennai are inviting. Very. Long stretches of sand, and the waves seem to be coming in quite calmly, almost boringly. It is very tempting to go out and ride the waves back in, which is what many people seem to do. (Going against the advice of the Outdoor Swimming Society, and other experts, who say that one should never swim with one's back to the sea). But the city's beaches are quite dangerous. There have been quite a number of fatalities, and an equal, if not greater, number of rescues. 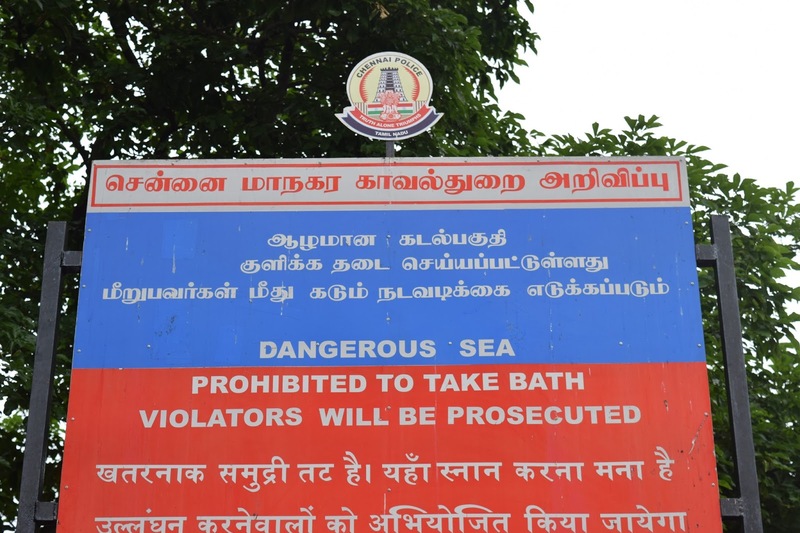 The most famous (or best memorialised) tragi-heroic act was off Elliot's Beach at Besant Nagar, but there are probably many more which happen off the Marina, considering the greater volume of people who throng there. 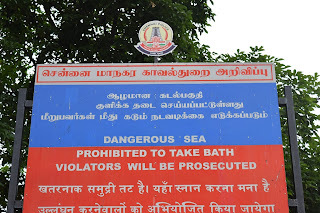 The city police frown on any attempt to "take bath" in the sea. Well you can try and argue that you weren't bathing, but you were trying to swim. But they will still prosecute you anyway!